The BNC considered the European Union’s move towards labeling Israeli settlement products, announced at a recent EU press conference, as insufficient for fulfilling European states’ legal obligations under international law. The press briefing by EU Foreign Policy Chief Federica Mogherini followed the meeting of the foreign ministers of the EU’s 28 member states in Luxembourg. 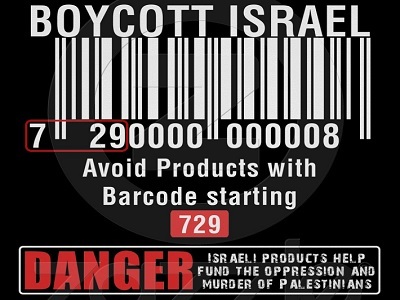 The growing European consensus around labeling Israel’s settlement products reflected mounting public pressure in Europe on policymakers to end the profound European complicity in Israel’s violations international law and Palestinian human rights. More than 300 trade unions, NGOs and other civil society organizations from across Europe have called on the EU to end its support for Israel’s crimes, including by suspending the EU-Israel Association Agreement. The call was supported by more than 60 MEPs. Following public pressure and lobbying by Palestinian and European organizations, the EU introduced a policy stating it must not provide funding for or allow Israeli participation in EU projects if such participation amounts to recognition of Israeli sovereignty over occupied Palestinian and Syrian territory. However, the EU continues to provide funding to Israeli military companies such as Elbit Systems and Israeli Aerospace Industries, and also to Hebrew University, which is partially based in occupied East Jerusalem. The global BDS movement, which saw unprecedented traction lately, seeks to isolate Israel’s regime of occupation, settler-colonialism and apartheid academically, culturally, economically and militarily until the Palestinian people can exercise their inalienable right to self-determination. At a minimum, this entails an end to the 1967 occupation and to Israel’s apartheid system, and the return of Palestinian refugees to the homes and lands from which they have been displaced during and since the 1948 Nakba.